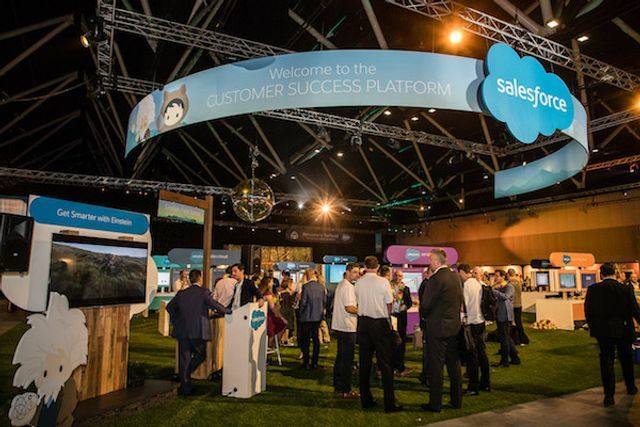 Like many others, I’ll be attending the Salesforce World Tour next Thursday (17th May). The Customer Expo was noticeably busier last year circa 8.30am and this years event is already a sell out – for those who weren’t able to secure a ticket, you can register to watch online here. For those who, like me, are lucky enough to be attending, I’d recommend planning ahead and checking out, prior to the event, which breakouts, theatres, workshops etc you’re interested in. Also, don’t forget to download the Salesforce Events App, which will enable you to manage your day from your mobile device and give you access to session details, personalised session suggestions and to tell you where you’re supposed to be next! 1. Probably the most prevalent product talked about by my clients over the last 12 months is Salesforce Marketing Cloud, aptly reflected by the number of breakouts that are dedicated to it and the marketer’s. Topics covered include: “strategy & execution”, “guide for success”, “marketing in the Age of Privacy, Trust & DPR” and “Trailblazing in the Age of Intelligent Marketing”. 2. Gartner sees CPQ as one of the hottest enterprise applications and predicts an annual growth rate of 20% through to 2020. CPQ enables you to automate the entire Quote-to-Cash process, reducing administration and allowing more time to be spent growing your business. Be sure to find out how you can bring visibility and control to your sales process! 3. Last month, Salesforce completed its acquisition of Mulesoft, therefore, now providing a leading platform for businesses to innovate faster, tailor customer experiences and increasing efficiency. “Failure to complete digital transformation initiatives will negatively impact revenue in the next 12 months and the vast majority (89%) believe that integration challenges will hinder that transformation”. Check out the breakouts where you can find out more about Mulesoft and how you can use it to drive digital transformation. 4. Another theme heavily dominating the agenda is Lightning – something that still continues to polarise opinions! I’ve listened to a few talks by Salesforce Architects over the course of this year and why you shouldn’t be afraid of Lightning. Discover more on how to migrate to Lightning and how it can positively impact your ROI and productivity! Whilst it can be tempting to pack your day with sessions in an attempt to consume as much content as possible, I’d recommend trying to reserve some time for mingling/networking. You might bump into someone who has suffered similar pain points to you in their implementation, or stumble across a partner/ISV with an application which can transform your Org – think about what might make your life easier when you’re back in the office on the Friday (apart from paracetamol)! If you’re attending next Thursday and interested in sharing your thoughts on Salesforce, related technologies and market trends, I’d be more than happy to buy you a coffee/beer (depending on the time of the day)!